Many citizens commonly think that the police are getting off easy after an officer shoots a citizen and is judged to not be at fault. While they attribute this result to a biased criminal justice system that is predisposed to judge the officer not guilty or not responsible, this perception is not true. An officer is judged based on his or her training and adherence to established use of force principles. In almost all of these shootings, the officer is judged to have followed these policies and to have only used deadly force when he or she felt a risk to him or herself or to a third party. Not only do citizens generally not understand these policies, they do not understand the many hearings which a police officer has to undergo after such a shooting. At these hearings, the officer is judged again and again as to whether he or she followed the use of force principles and really felt that he or she or a third party was at risk of injury or death under the circumstances. After a shooting, a police officer actually goes through four levels of hearing within the criminal justice system. These four levels of hearings include an administrative internal affairs hearings, a criminal investigation by the police, a decision by the prosecutor as to whether to charge a complaint or not, and a trial if the complaint is charged. Almost immediately after the fatal incident, there is an administrative review, commonly handled by the police department’s Internal Affairs Division, which looks at whether the officer correctly followed the department’s use of force procedures, which were established through state law. In some jurisdictions there also may be a citizens’ review panel to look at the incident and make recommendations, usually to the police Internal Affairs Division, as to whether a crime occurred. In some cities, the review board may announce its decision publicly. Commonly, the members of these panels include community leaders, politicians, the media, and advocates. The second type of review is conducted by criminal investigators from the police department. They descend on the scene, secure it, and begin processing the evidence. Commonly, they wait several days to interview the police officer who killed the suspect, because they are aware the officer is likely to be in a highly emotional shocked state. Commonly, during the interview, officers will be asked to draw a diagram of the scene and indicate where they were standing, their position relative to the suspect, and how many times they fired their gun. Though an average citizen or activist might perceive that the officer is lying or distorting what happened, actually this lack of response is due to the officer truly not recalling what happened. If the criminal investigators find some evidence that suggests the shooting could be a crime, the third level of investigation of the fatal incident is a prosecutorial review. At this stage, the prosecutor looks at the evidence collected by the criminal investigators to determine if there is sufficient evidence to warrant a criminal trial. Some prosecutors may turn to a grand jury made up of individuals in the community who are selected by a court to decide if it is appropriate for the government to prosecute someone suspected of a crime. If the jurors decide that the case warrants prosecution, they will issue an indictment, after which the prosecutors will proceed. Prosecutors might look to a grand jury if the case has been widely publicized or has become highly controversial. 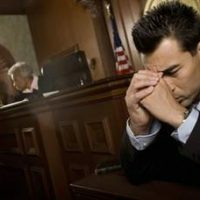 In this way, the prosecutor can be viewed as being more neutral in assessing the case, rather than appear to be taking sides. Should there then be sufficient grounds for a criminal prosecution, the fourth stage is having a criminal trial, which is what happened in some high-profile cases. Finally, whatever the outcome of a criminal investigation or in a trial, if one occurs, the officer in a fatal shooting can still be subjected to a civil lawsuit. It does not matter if the officer is found not guilty in a criminal trial, he still could be found responsible in a civil suit, because this has a lower burden of proof (where a preponderance of the evidence is required to find the defendant liable) than in a criminal justice hearing (where a certainty of a doubt is required to find criminal responsibility). Moreover, in the civil suit, the jurors can be swayed by outside social and media pressure, even if they are supposed to judge the evidence objectively. As a result, they may be influenced by their emotions or by popular opinion, and they may judge the officer to be at fault, despite what the evidence may show. 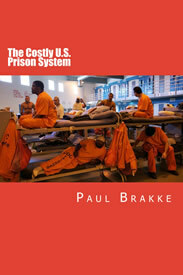 Making matters even worse for the officer is the financial burden resulting from any criminal or civil trial. 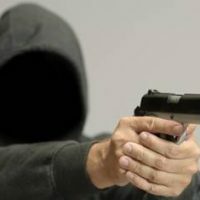 While the city or county with jurisdiction over the incident may fund its own defense, the officer typically has to pay to defend him or herself. Thus, he or she faces a high risk of ruinous civil damages, and even if the officer is found not liable, he or she will still have very high expenses for a defense lawyer, since a defense can cost many thousands if not hundreds of thousands of dollars. 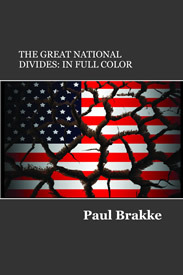 Thus, as much as many citizens may think out-of-control police officers are acting out of racial bias in shooting citizens and are protected by the criminal justice system, since they are usually found not guilty, the reality is very different. Officers generally are well aware of use of force guidelines, and they have been trained to respond almost instantaneously, when they perceive a potentially deadly attack against them or a third party. They know they have to respond this way to avoid their own death or that of a third party. Then, when an investigation occurs at the different levels of the criminal justice system, their response under the circumstances is carefully assessed in light of these guidelines. Thus, if they are ultimately found not guilty criminally that is because the evidence supports their response. It would seem that these four levels of adjudication provide a fair way of judging the officers, in spite of public perception by many that they are being unfairly let off by the criminal justice system. Additionally, separately from any determination by the criminal justice system, they face tremendous emotional trauma and a high level of expense. The only ways to reduce civilian deaths by police and consequent police trauma may be to modify local use of force guidelines and provide better training on how to avoid unnecessary potentially deadly confrontations. 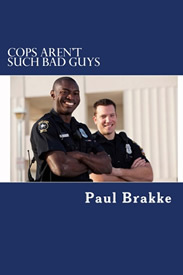 Further discussion of citizen and police issues can be found in my book: Cops Aren’t Such Bad Guys.